Thank you for the history of our lake. The most interesting blog I have read this year.. I remember that. The pit probably saved our area from flooding too. Is that empty mall still there? We wanted a lake, but it would take forever, so Mother Nature said "here, let me help you with that." a beneficial pick, to any extreme to lengthen it regular if they're doctor told them it was of medium sizing. It is from such a ground and then, that many only use these enhancement pills wish a element of the add up brawny life-style. We just called it Helm's Pit. I remember the tiny tiny mall near it. just reading this interesting informative story, seems to be a story with a very positive beginning. Most stories have an ending, but this one is just the beginning. Helm's Pit was an eye sore to an area promoting tourism. I was born in 1941, in Denver Colorado and my name is Ed Johnson. Through out my life, this area as been my home several times. I considered it a area to make a fresh start. My father was an AP Photographer, and his job moved us from Denver, to Helena Mt, and in the 1950's to Seattle,Washington, where I grew into a rebellious young man and a talented artist. To make a long story short, I have made many fresh starts in my life, in the Reno Sparks area. In a way I have compared the great flood of Sparks, creating today's Sparks Marina to the great flood of the Bible. A place for a fresh start. Reno/Sparks has always wanted to identify with positiveness, like"Marriage Capital". Did not want to be compared to Las Vagas. that is inspiring to all who visit this beautiful area of our great nation. Reno / Sparks is blessed with an ideal climate, which is a complement to the Marina and surrounding area. 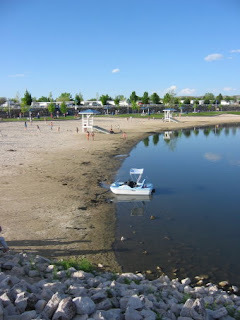 This area is home to the University of Nevada at Reno, which I mention here because education is also part of the fresh start thought, I connected to the development of the Marina in Sparks.